In 2011 Inbar Solar Energy won the municipal tender issued by the Haifa municipality for the construction of solar energy systems in the city. 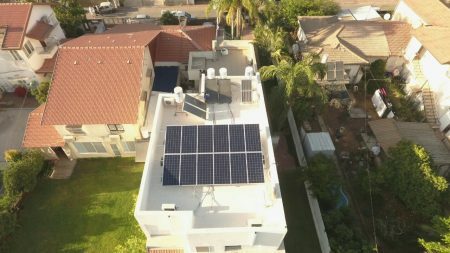 This green energy system was built on top of the roof of the Hannah Zehenech School in Haifa. Installation was executed on a concrete roof. In accordance with the municipality’s requirement the panels were installed on top of an aluminum construction not directly to the roof so as to prevent damage to the roof’s sealing. The construction is stabilized using concrete weights to withstand the high wind load as a result of its proximity to the sea. The concrete weights are separate from the roof using a bituminous sheet to prevent friction and roof wear. 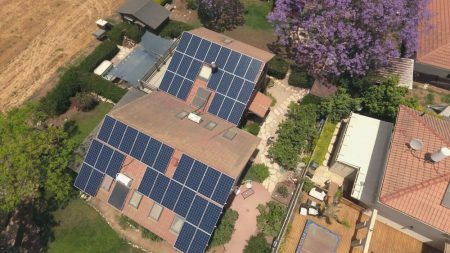 This solar energy system has an output of 50 KilloWatts. Suntech panels and SMA inverters were installed therein. The system was connected to the power grid in June 2011. A monitoring system was installed at the school where students can see the data of the solar electricity being produced in real time. This way the students enjoy a lesson in green electricity and contribution to environmental protection.